Stonewall Jackson and Robert E Lee Memorial in Baltimore's Wyman Park. The intense debate around South Carolina’s vote to lower a Confederate banner leads us to think about Maryland’s relationship to symbols of the Civil War. Even during that war Maryland was shot through with tension, a slave state that stayed in the Union despite citizens that sympathized with the Confederacy, especially in the tobacco counties of Southern Maryland and the Eastern Shore. A measure of the secessionist sentiment in Baltimore is what’s known as the Pratt Street riot, an incident as the Civil War was getting underway in April 1861, when residents attacked Union troops moving through the city. 150 years later, after a spring of racial unrest and a riot in Baltimore, Maryland is taking some steps to examine the ways its past is reflected publicly. Although Gov. Hogan has decided to stop issuing license plates with the Confederate symbol, he said yesterday he has no plans to go further. But Baltimore Mayor Stephanie Rawlings Blake is appointing a task force to review the city’s Confederate monuments and other historical sites. 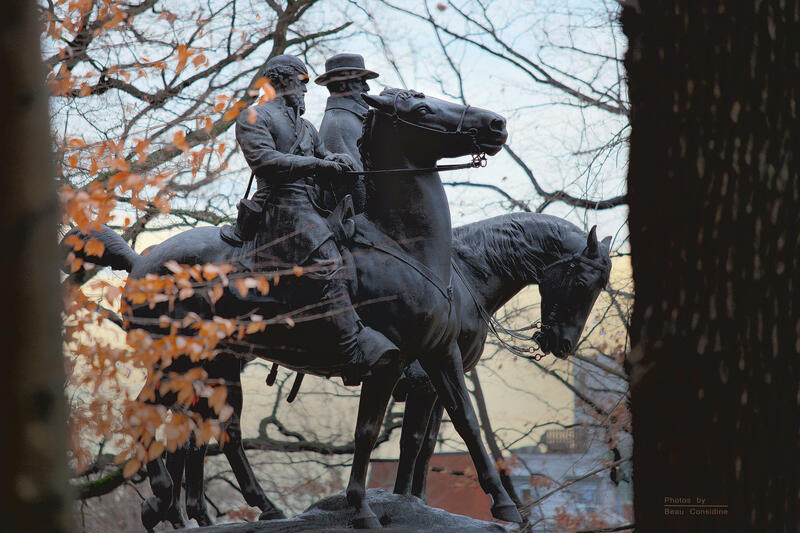 To help us think through how Maryland could use this moment to take a new look at how the history of slavery is conveyed in memorials and parks, we’re joined by two scholars: Kate Drabinski is professor of Gender and Women’s Studies at the University of Maryland-Baltimore County, UMBC. She writes the Field Tripping column for City Paper. Also here is Karsonya Wise Whitehead, Assistant Professor in the Department of Communication at Loyola University-Maryland.